Quentin Tarantino said everyone has the wrong idea about his upcoming ninth movie. A few months back, reports surfaced that the untitled flick will center on Charles Manson and the Manson family murders. However, Tarantino recently told IndieWire that the focus is a little less specific. "It's not Charles Manson, it's 1969," he said. That was as much as he was willing to reveal, but it's possible that Manson will only tangentially be related to the plot. For example, think of how Hitler factored into Inglourious Basterds. You wouldn't necessarily call that a movie about Hitler. It's possible that the Manson storyline will be just one of several, sort of how Pulp Fiction has interweaving tales. We do, however, know that Suicide Squad star Margot Robbie is rumored to be up for the part of Sharon Tate, one of the victims of the Manson family. And Tarantino has reportedly also met with previous collaborators Brad Pitt, Leonardo DiCaprio, and Samuel L. Jackson. 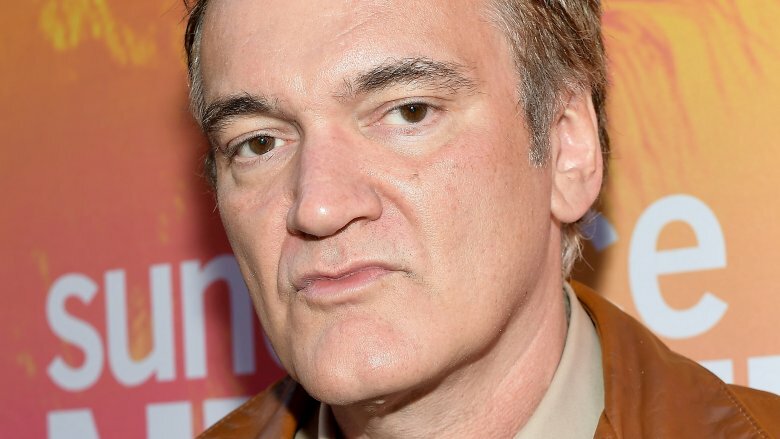 As for which studio will finance the project now that Tarantino has cut ties with the Weinstein Company, he said, "It's a level playing field." The Weinstein Company financed all of his movies since 1992's Reservoir Dogs but it's in peril now that former boss Harvey Weinstein is accused of sexual misconduct.